It is instructive of our times that the greatest military hero of a generation became a prisoner not in the dungeons of some far-off enemy but in those of her own side. Meaningful military heroism, Chelsea Manning has proven, is the heroism of rebellion. It tells us much that her baptism of fire came not on a distant field of battle but in a court martial for exposing the empire she once served. For the woken soldiers of the post 9/11 generation — the ones who have recovered from the fantasy that we fought in just wars or that our only obligation was to our conniving leaders — Chelsea Manning represents the best of us. She revealed the war, certainly, but also the conflict within the war. The one which all wars continue and yet obscure, between the wretched people caught up in the battles and the powerful who arrange them. Far from lacking courage or integrity, her only failure, her foremost biographer wrote, was one of cynicism: cynicism because she believed that the US military was in the business of liberation and freedom when in Iraq and Afghanistan and elsewhere it has always been in the routine of empire. Many of our number put up a justified resistance to the illegitimate wars of our time, and many paid and continue to pay a price for doing so, but none fought back so signally and at so high a personal cost. Zinn was speaking about French army mutinies in WW1 but his words, like his consistent critiques of war, are timeless. Only a week ago a senior British general lamented how resistant millennials were to recruitment, he did so without a single reference to political impact on that cohort of the twin wars in Afghanistan and Iraq — wars which Manning helped expose as a sham. 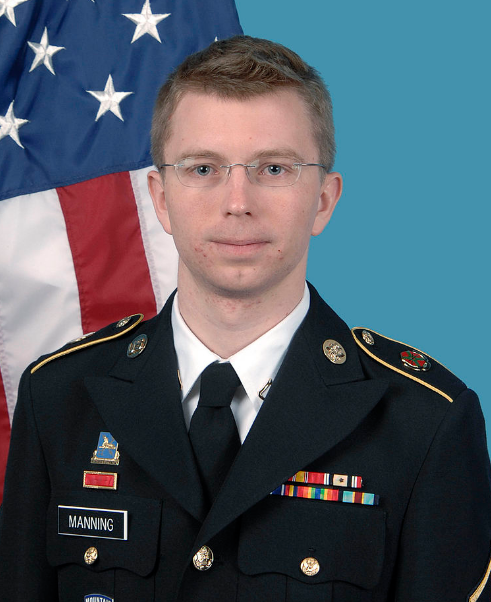 I personally know (see inset below) military personnel who resisted and were even jailed on the basis of Manning’s leaks and many more, including myself, who took great succour from her deeds because they proved to a broader audience that what we had learned in the crucible of war was true. Among her achievements, then, was to prove to other military personnel that, although it is a hard road to take, they were correct to question the wars and entitled to refuse, resist and disobey. 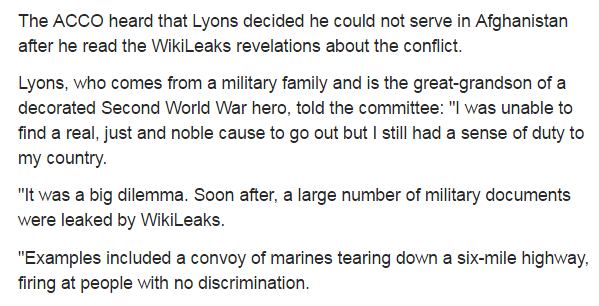 I cannot know how many young people wrote off the idea of a military career based on the mosaic picture of the wars which Manning’s leaks offered us but I believe, and hope, it was many. There are no official military medals or awards for dissent, only for obedience. But Manning, whose real story we can now look forward to hearing in her own words, remains the foremost military rebel of her generation.